“Today’s puzzle,” writes Jamie Holmes, “is to figure out what to do – in our jobs, relationships, and everyday lives – when we have no idea what to do.” To respond to that puzzle, Opal School of Portland Children’s Museum has developed “Playful Inquiry,” an approach to learning alive in a community that collaboratively and courageously relies on the unique gifts of childhood to question what it means to be a citizen world-maker in the midst of uncertainty. The skills and dispositions of inquiry are developed through maintaining a strong image of children within a pedagogy of listening and relationships, immersed in the tools of the arts and social-emotional complexity, where transdisciplinary learning is advanced through children’s natural learning strategies. This multi-day professional development retreat immerses participants in this learning environment and supports them to consider the implications to their settings. It includes attention to the classroom environments and the role of documentation, observation of school in session, formal presentations, thinking with the arts, and facilitated conversation. We’re thrilled that educational consultant Anne van Dam will be a distinguished guest on the tour, drawing on her 25+ years of experience as an international school educator, school leader, and IB/PYP developer to facilitate connections between what participants discover at Opal School and their international, IB, and PYP settings. 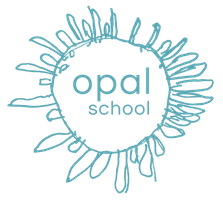 Founded in 2001, Opal School of Portland Children’s Museum’s mission is to strengthen education through provoking fresh ideas concerning environments where creativity, curiosity, and the wonder of learning thrive. That mission is advanced through a small school, serving 125 children ages 3-11, which serves as the basis for professional learning for more than 1000 educators around the globe annually. Participants are encouraged to pair this opportunity with a related professional development opportunity at La Scuola International School in San Francisco May 9-10. We’re keeping registration limited for this retreat. Register for this unique opportunity today!